appears considerably large for a distance over 600km. ends in the Okean image. for information about dimensions of this spacecraft. 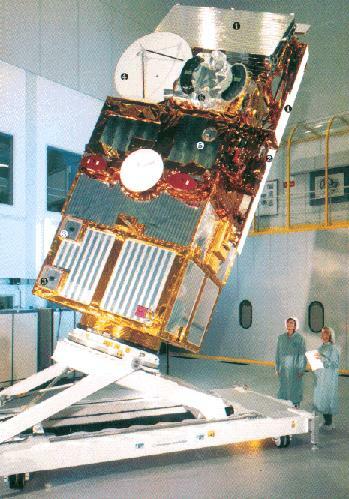 Mass of the satellites should be 1,950 kg (4,290 lb). The later types were the Sich. The captured Okean 7 is launched in 1994. 79.6° WSW pass on Aug 24 in good seeing conditions. visible in all frames at least during closest approach. is now only operational in sight of a ground station. -Study of Earth's radiation budget and stratospheric aerosol gases. live, it finally just retired in 2005 for butgetary reasons.